[JUNE 18, 2004] A benefit for the family of Gabriel Goldsberry will be on Friday, July 2, at the Knights of Columbus Hall. The dinner, served from 5 to 8 p.m., includes steak or chicken, baked potato, and salad. 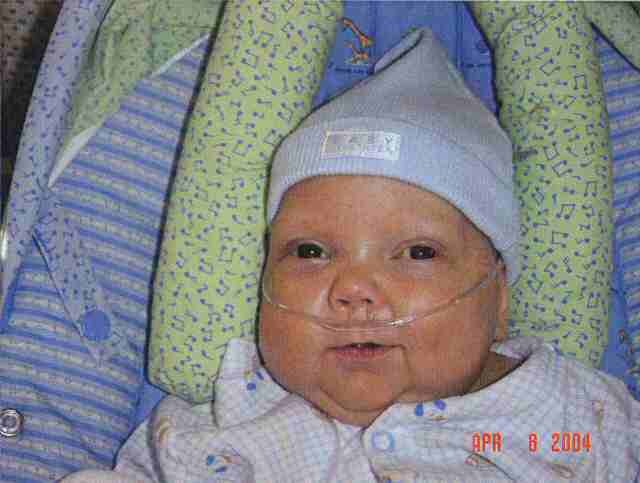 Gabriel Goldsberry, son of John and Tricia Sparks Goldsberry, was born prematurely on Oct. 6, 2003, with severe complications. 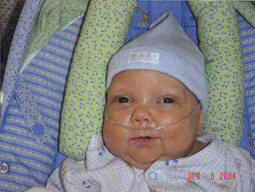 He was hospitalized in the neonatal center at St. John's Hospital for six months. Although he was able to go home for a brief time, he continues to have numerous health problems, and his most recent hospitalization has been at Cardinal Glen Hospital in St. Louis. Proceeds from this benefit will help with financial expenses for Gabriel's health care. Tickets are available for $10 at the Award Shop, Blades, Old Joe's or at the door. People interested in 50-50 tickets or dinner tickets may also call Rod or Marlene at 732-6165. Donations may be given at the State Bank of Lincoln.